Hibiscus flowers are beautiful to keep in the house or to give as a gift. They’re also stunning as decorations on cakes and cupcakes, and they taste amazing in a traditional Hispanic drink known as a Jamaica agua fresca. Many Mexican restaurants sell the Jamaica agua fresca along with a tamarind version and the popular horchata. But, Jamaica is a favorite, possibly because of its beautiful magenta color and its sweet, but unusual, flavor. If you’ve wanted to make a Jamaica agua fresca at home but didn’t know where to start, the first thing you need to do is to get some organic, pesticide-free hibiscus flowers. Don’t shop for them at the gardening store or a big box store, unless you know that no harmful chemicals where used on the flowers or in the plant’s soil. A better bet is to visit your local farmers market and ask the growers if they have hibiscus, or get seeds online and grow your own so you can make this delicious cold beverage when your blossoms bloom. Keep in mind that many people find it difficult to grow hibiscus from seed. Growing from cuttings is the preferred method. 1. Place 4 cups of water in a medium saucepan, along with sugar. Heat until sugar is dissolved and water is boiling. Remove from heat and stir in dried hibiscus flowers. 2. Cover liquid and allow to set for 20 minutes. 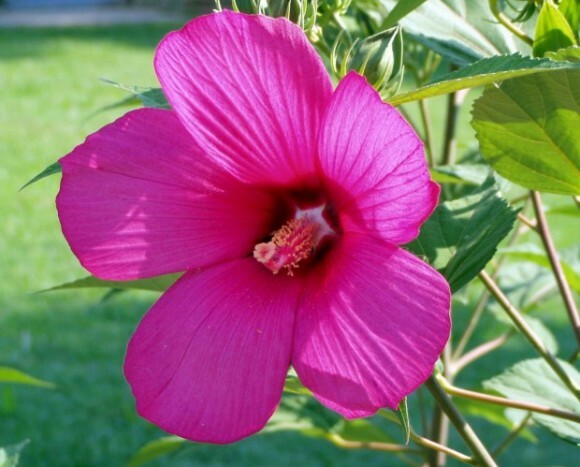 Strain into a large pitcher and discard the hibiscus flowers. Add remaining water and lime, then chill. 3. Serve over ice in a tall glass, with an orange slice as a garnish. Do you have any recipes using flowers that you’d like to share? We’d love to hear from you in the comments below.